Compact yet deceptively powerful, this blues box in a cool 'cube' style makes for an awesome practice harmonica amp. 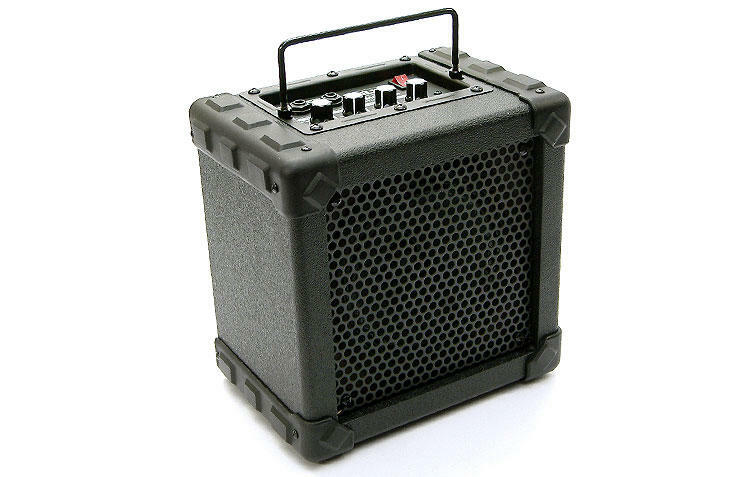 It could stand up for itself in small jam settings and will roar like a beast if you need to mic it up through a PA. The real beauty to this modern design amp is the ability to adjust it's tone, particularily at lower volumes as the video shows. With most amplifiers to get the traditional blues harp sound you need to give it a bit of throttle but with this harmonica amplifier you can set the volume low yet still acheive that gritty slightly distorted Chicago tone by adjusting the gain control from clean through to high distortion and everywhere inbetween. The video demonstrates a relatively low volume but with high distortion if that's your thing. If you prefer a warmer tone simply pull back the gain control. All you need is a harp and a microphone of which I sell plenty, try the Eagle mic that is used in the video, great set-up for playin' your blues harmonica music. Grab your favourite key harmonica and wail like beast at midnight through the glx-10 amp, you never know, the devil just may pop by to take your soul!